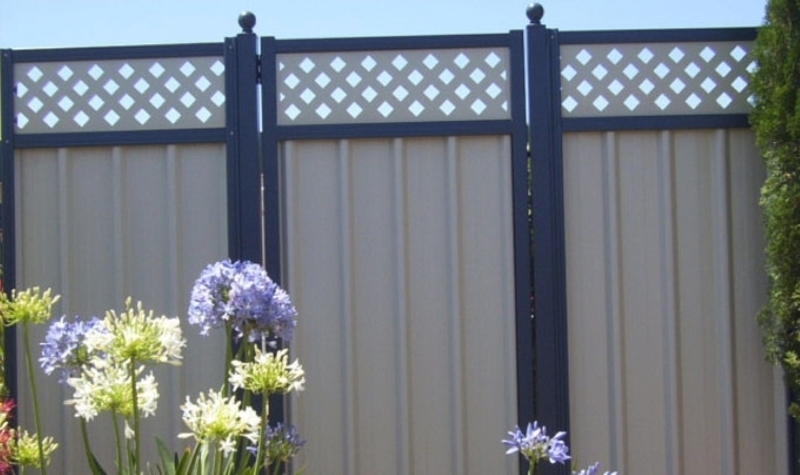 BlueScope steel colorbond is a trusted product and backed by its 10 year warrantee. 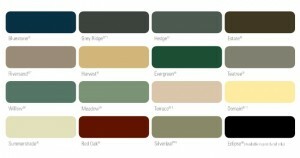 We stock a large range of colours, and manufacture gates to suit. 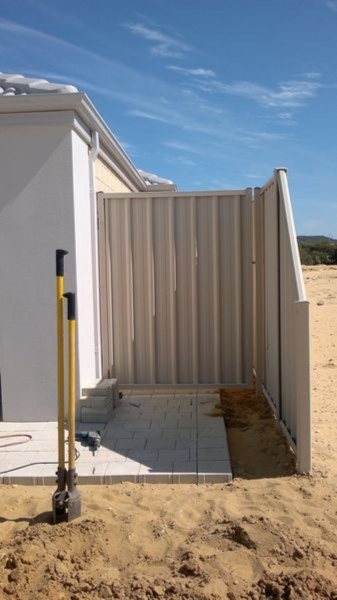  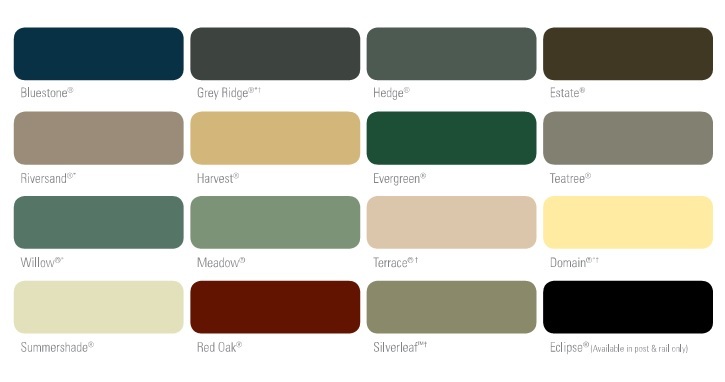 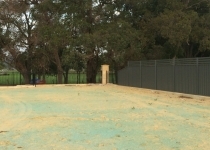 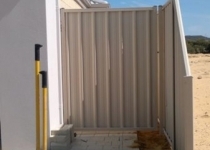 Colorbond is the ideal way to fence your back yard, with a selection of colours and sheet profiles, the vision of your home, is at your fingertips. Colorbond comes in 2.35m and 3.1m wide panels, heights are 0.9m, 1.2m, 1.5m, 1.8m and 2.1m. 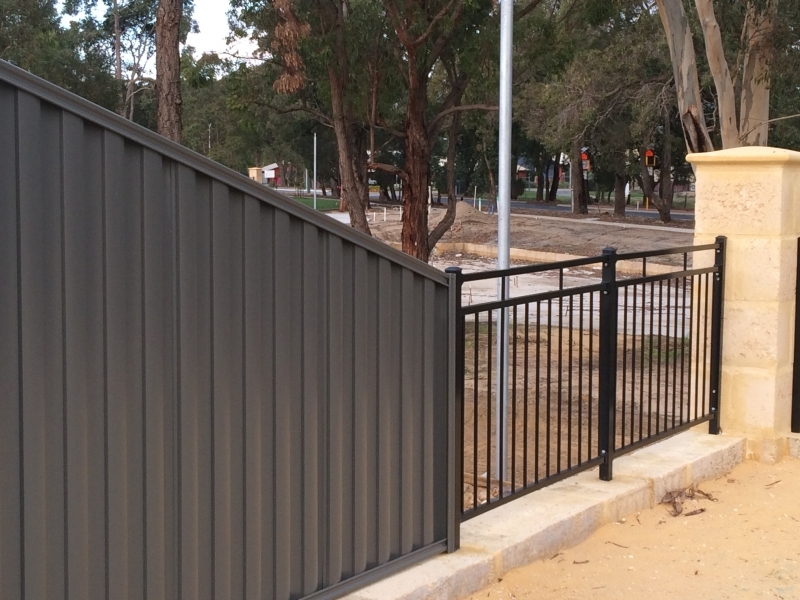 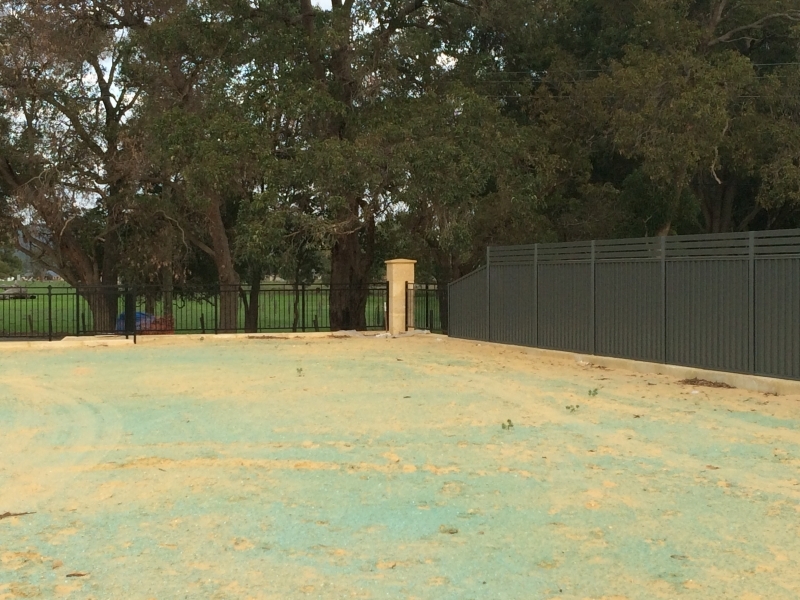 We keep a large range of colorbond in stock at 1.8m high for your convenience. 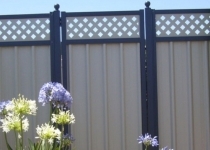 Slatted lattice or standard lattice can also be provided in the colorbond colour range.